On a 750 dollar budget, the newly released AMD RX480 is a fantastic choice. This GPU has excellent performance for the price making this model one of the best graphics card choices on the market. At 1080p the RX 480 provides a consistent 60fps even on demanding games like Battlefield 4 using Ultra/High settings. I ordered most of the parts for this build last night, however I have found this hard drive on Amazon for 60 dollars and lower shipping cost thought you may want to update. I think it is the same one. is there a video guide to this build. I am super beginner to this and I really want to build this setup. I just build mine today. I got all the parts as a bundle from microcenter. It costs me $764.00 total before rebait. Do you know the specs if you switch out the motherboard for the 850 EVO? Besides Windows is this all you need to build the computer, also can put 2 ram sticks instead of just one in this computer? Not on a locked CPU. Well, you don't need Windows, could go for another OS but yeah. I think the board only support up to 2133mhz of RAM, so that 2800 is a waste. Everyone sees different models. If you are seeing 2800 it means that model is the least expensive in your region based on your preferred retailers. can this run 144 FPS on CS:GO at max settings 1440p?? I am super new to building computers. Is this all the parts I need to buy to build a computer? When I clicked customize this parts list it tells me to choose a CPU cooler / software/ optical drive. Is it necessary to get any of those? Plus there is an "Add another memory" button. Does adding a new memory makes the computer go faster? Sorry I am a super new and I am considering buying this build and building it myself. The build uses the stock intel cooler that comes with the CPU. The only thing you would need to purchase is a license for Windows. note after rebates came to a little over 900 total cost. I was able to get the G550 M with rebate, 25 dollars and the 870 has another 20 dollar rebate. thank you for the information. however the video card , ram and storage were already ordered. after some rebates the price point was only about 20 dollars so I am ok with that. After commenting a lot on the other builds I feel this is the best for my budget and what I do. However would an i7 processor work well with the build? Also will this in general with an i7 work well for video editing? I used to enjoy making gaming videos on my old gaming computer that recently went out and would like to get back into it. I'm really new to PC builds, wondering if this build will still be compatible if i swap out the Rx480 with a GTX 1070? is this build suitable for VR? Could one stick this build into the Corsair Spec Alpha case and add a wifi adapter ? Swap the parts and the compatibility engine will let you know if there are any issues. Well once again I have made a change, was able to get my hands on a Gigabyte GeForce GTX 1060 G1 Gaming edition, I will return the un-opened GTX 970. Been holding onto a 70 rebate on amazon and pulled the trigger. That got the price down to 290 with the 2 day shipping included. I know i spent more than i had to, and the RX 480 was better value but I just wanted an GTX. Could you please confirm this card will still work with this system. Thanks. FYI here is the link still in stock as of this morning if anyone would like to take a look. I would go for a mobo you could OC with like a z170 honestly. Also, A-Data SSD's are just awful. I recommend getting anything other than an A-Data. Maybe to afford that you could switch to a Deepcool KENDOMEN RED. 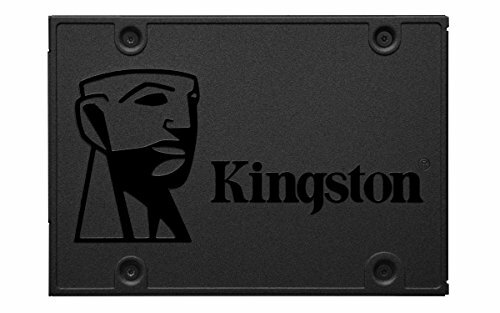 I've always known them to be the slowest SSD's, maybe I'm wrong but I've owned a few and even if you look at the reviews they're not trustworthy. One question why can't we use "ASRock Z170 Pro4S LGA 1151 Intel Z170 HDMI SATA 6Gb/s USB 3.0 ATX Intel Motherboard SKY OC, Ultra M.2, CFX, Intel LA" here? Please let me know if there is any other graphic card, because it is unavailable on newegg and it is over priced in Amazon India. I will buy 1TB storage later. I am planning to have dual monitor, can I play games on dual monitor with this built? 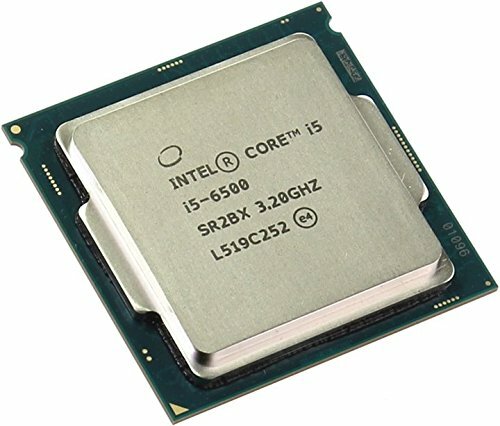 Does this MOBO support 6700K? Yes, but you need a Z170 if you want to overclock. Will this run No Man's Sky at max settings? Will the GA-H110 mother board support 2 sticks of 8 gb ram? I think it's fair to say that NMS would run well on this system, and yes, this board supports 2 sticks of 8GB. Hey, Ok so with his build be able to stream via capture card from console easily? As well as video edit? Also is this a good all around desktop setup for simpler things than gaming and streaming? Would there be anything to change to meet my needs? I apologize for being naive, as im just worried ill spend alot of money and mess up a build. Any help would be appreciated. Should i get sapphire nitro+ 4gb instead of 8gb reference card? Also, i can get a EVGA Supernova G2 550W just for 5 euros more expensive, isn't it better? I need help with the ssds, motherboard, powersupply, water cooling. I need to be able to upgrade this so make sure its not a mini atx motherboard. The parametric filters choose the lowest priced option based on the filters. Additionally, the GPU changed and the motherboard was adjusted to a sparse parametric set instead of a single model. Sadly, I see some flaws with your parts list. Why would you have a K - sku chip, if you don't have a motherboard that does not support it? The only conclusion I could come up with, is that it gives a chance for later upgrades to the motherboard. Also, the quality of the power supply is very low. It does not even have 80+ certification! The case is also VERY budget. My conclusion to your parts list, is that while upgrading the CPU, Memory, and (maybe) the CPU cooler, you are giving up many different important factors, including the Power supply, and case. As you should know, power supplies of that shoddy quality can blow up at any time. I think you should maybe try to revise the revised build of the original, and fix the flaws. It does not even have 80+ certification! That doesnt matter, regarless, that logysis unit is known for being really ******. I wholeheartedly agree to your response. There are many non - sensible picks in the build he posted. From what I read, having this as a dedicated streaming system will be good. But, if you plan to stream and game from one pc, idk. You're not really putting all that much stuff in it. Only things beyond the bare minimum are an optical drive and the dGPU. It'll fit just fine. However, from what I can see, there's only a single mount point for 2.5" drives, so you'll need adapters if you ever add more. Though I imagine your next addition would be a 3.5" mechanical anyway. Please make your own post in the forums. I'm looking at a fairly similar build. What is the point about the motherboard? Gigabyte are a little shaky (from past experiences with their LGA 1150 motherboards) so I wouldn't be surprised if this Skylake version is dodgy.